There are different types of dental implants. Each one of them is for a specific function, and the dental surgeon would be the best person to tell you what kind of implant you would need. Most of the implants are made using titanium, which is an inert metal. Also, it is very good at fusing with human bone. The root form implants is very close and identical to the natural tooth root. To have this type of implant, you should have a wide and deep bone. 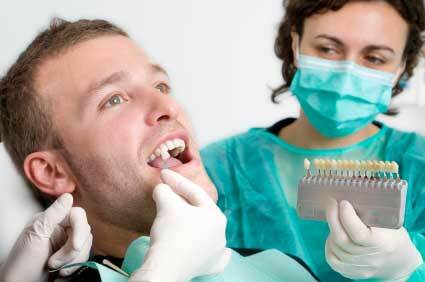 The dentists will carefully place the implant inside the jaw bone and put several stitches. The healing depends on the osseointegration, and this could take several months. When the implant has integrated with the surrounding bone and tissue, and the wound has healed, the crown is attached to the implant. The plate form implants are used when the bone is narrow and is not suitable for root form implant. The area is not good for bone grafting either. The implant is shaped in the form of a plate so that it can slip in. The healing again depends on osseointegration, and the rest of the procedure remains the same as root form implant. The subperiostal implants are used when the jaw bone does not have the necessary height or width. In such cases, neither the root form nor the plate form dental implants can be used. This is the custom made implant that is designed to sit on top of the bone, just right under the gums. This type takes two surgeries instead of one. A dental implant is an artificial tooth root that is placed in the jaw bone in order to fix an artificial tooth. The dental implant will look almost like the natural tooth, and is a permanent solution for your lost tooth. There are several positive uses of dental implants. More..